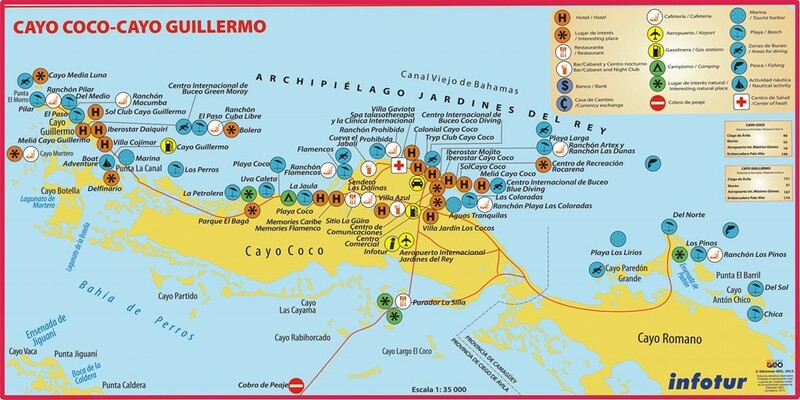 Cayo Coco and Cayo Guillermo are keys located in the northern coast in province of Ciego de Avila. 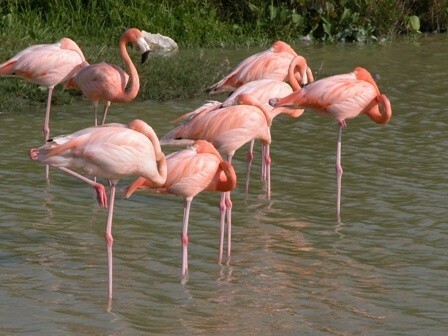 This region is known as Jardines del Rey, The Jardines del Rey Archipelago is part of the Sabana Camagüey Archipelago with more than 2500 islands and islets that extends for 465 km, from Bay of Nuevitas to the eastern end of the Hicacos Peninsula. It was named “The King´s Garden” by Diego Velázquez in 1514 in honor of King Ferdinand of Spain. Touched by the waters of Old Canal of Bahamas, Cayo Coco covers 370 square kilometers linked to the mainland by a causeway that crosses Bahía de Perros (Dog’s Bay) along 17 kilometers. Cayo Coco was named after the large population of white ibis (mostly known as coco bird), also identified as the “island of flamingos”, due to the large colony of pink flamingos that lives on the south side of the key, providing an unusual and unforgettable great show for those who travel to the key by the causeway, where they can be seen very closely from La Silla lookout, preferably very early in the morning or at sunset. 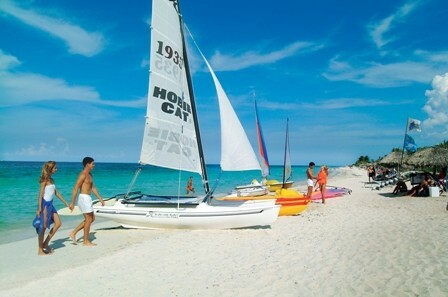 Cayo Coco has 22 kilometers of beaches of fine sand and greenish transparent waters, located in a practically virgin environment where forests and other plants cover near 90% of the territory. 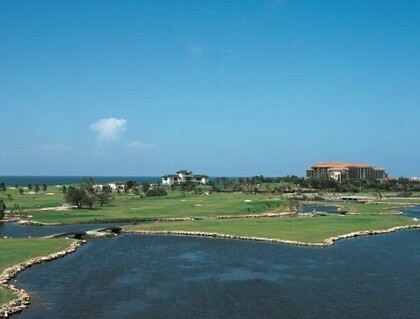 Several lagoons provide an ideal habitat for many species. Used as a hideout by buccaneers in the early colonial period, the island was home to a small settlement of fishermen and charcoal producers until 1955 when the freshwater supply was exhausted and the market for charcoal ended with the spread of electricity after the Cuban revolution. Another causeway links Cayo Coco to Cayo Guillermo, a small isle of 13 square kilometers mentioned in Ernest Hemingway’s “Islands in the Stream”, when he described how green and promising this place looked to him. 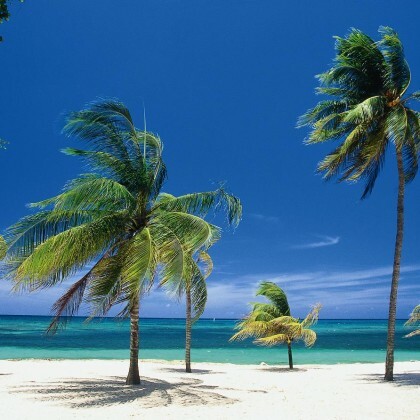 Its three beaches and among them Playa Pilar, considered the most beautiful one of the archipelago Sabana-Camagüey, have a total length of four kilometers and the scenic value is reinforced by the existence of the highest dunes in the Caribbean that reach up to 15 meters. 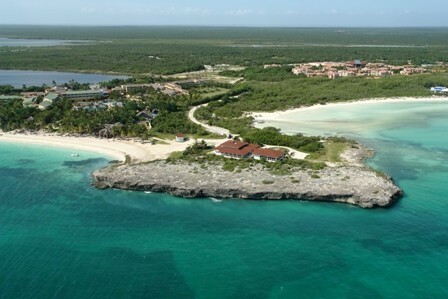 The town of the Rooster, as Morón is mostly known, is the closest one to Cayo Coco and Cayo Guillermo. It still preserves some buildings of high architectural value and in the outskirts of the town you can see some of the remains of La Trocha de Júcaro a Morón, a defensive system built by the Spanish army to try to stop the Cuban Liberation Army from moving from east to west, and considered one of the most important military engineering works throughout all the Américas. 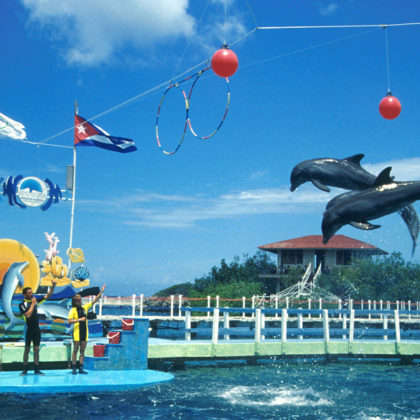 Imagine 250 virgin coral islands set in a sea of turquoise waters, Jardines de la Reina (The Queen’s Gardens)” is located some 60 miles off the mainland of Cuba, it extends over 75 miles. In 1996, Jardines de la Reina was declared Marine Natural Park. Access is restricted and limited exclusively for Avalon Fishing and Diving Center. Commercial fishing has been banned from all but the outermost edges of the Park. The little town of Júcaro with its old fashioned wooden houses and 2000 inhabitants is your entrance to this private world of water, fish and coral. Aside from a stunning variety of marine life, the coral islands are home to a fascinating collection of birds and plants. Birds commonly seen include ospreys, pelicans, frigate birds, spoonbills, and many different sorts of heron and egret. The only mammal is the ‘Jutía’ a tree loving animal the size of a squirrel, while reptiles are represented by a large population of iguanas. The flora is mainly palm trees, dissimilar forms of Caribbean pine trees, sea grapes and the ever present mangroves. The 75 mile long mangrove and coral island system form what is said to be the third longest barrier reef in the world. Certainly, it is one of the last untouched reefs available in the diving world. Like so much of the Caribbean, the real beauty is below the surface. A chain of coral reefs, very close to the southern shore of the archipelago, is made up of undisturbed and undamaged coral. Mangrove roots provide an incredible nursery for the smaller fish. The quantity of food attracts enormous numbers of large fish, more than anywhere else in the Caribbean. It is possible to hand feed a 200-400 lb Jewfish in almost every dive. Imagine a marine wilderness with walls covered with brightly sponges and corals plunging well below the limits of safe diving to shallow reefs filled with both schooling and solitary fish. Old Spanish galleons lie on the reefs as well corals, sponges and fish. Sharks are one of the main attractions, you can easily dive weekly with 5 different species of “Carcarinus”; Silky, Caribbean Reef, Lemon, Black tip, Nurse and you have chances to dive also with Whale sharks and Hammerhead sharks. The best opportunity for video and photography lovers in the Jardines is from Oct until May. Water clarity and visibility are at their peak, up to 200 feet. During summer time, June- -August you will have more fish around due to the reproduction season. 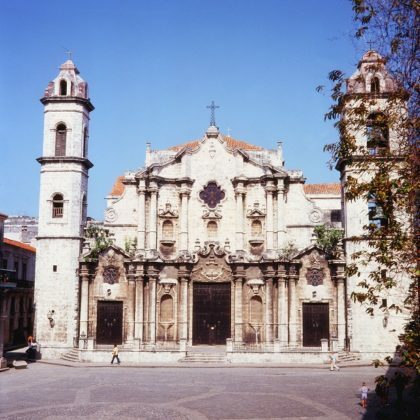 Located 460km east of Havana and 110km west of Camaguey, it was used by travelers as an overnight watering hole before continuing on to the islands of Trinidad and Santo Domingo in the 19th century.